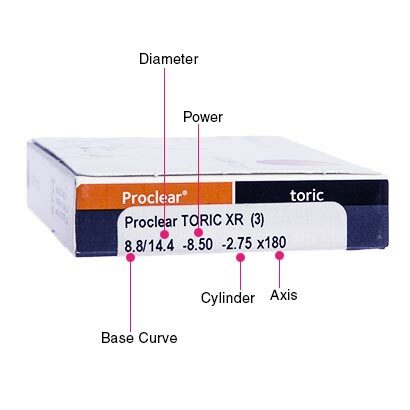 Proclear Toric XR contact lenses are toric contact lenses specifically created for more extreme cases of astigmatism. With an extended prescription range to choose from, you can enjoy stable and comfortable vision no matter how strong your astigmatism. By ensuring a tighter fit for the lens on the eye, and minimising rotation, manufacturers CooperVision have created toric contact lenses to deliver precise and consistent vision. You’ll enjoy clear images, undisturbed by distortions, halos, glare or blurring when you wear Proclear Toric XR contacts. Read our helpful guide on how toric contact lenses work for more information. With the inclusion of PC Technology, these monthly contact lenses can provide a comfortable wear all day long, keeping eyes hydrated from morning till night due to their increased water retention. 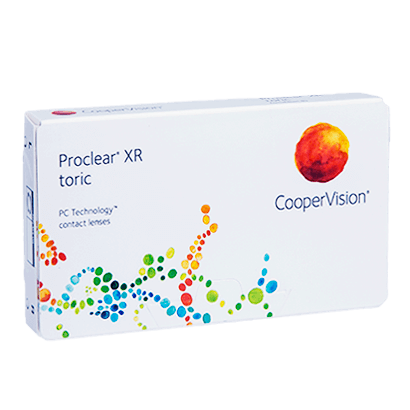 Even after 12 hours of wear, these toric contacts retain up to 96% of their moisture to ensure eyes stay lubricated and fresh, which you can expect form the Proclear range. Perfect for office workers or anyone with a busy schedule, you can wear these monthly contact lenses all day long and enjoy freedom from dry eyes and irritation. 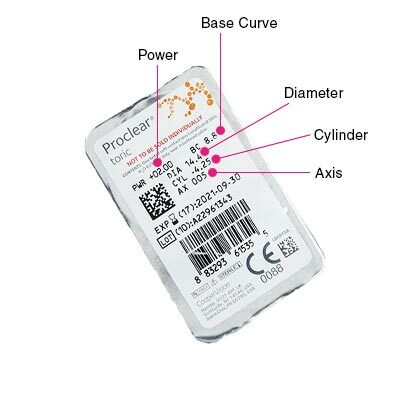 Following a simple contact lens cleaning routine is all it takes to look after your Proclear Toric XR contact lenses. They must be removed nightly, then cleaned and stored overnight using an appropriate contact lens solution to ensure all dirt or debris that’s gathered on them is eliminated. A multi-purpose solution such as comfi All-in-One Solution will ensure you have fresh and hygienic contact lenses every morning. The solution will also rewet and condition your lenses for long-lasting hydration.